A long-standing gap in the Nexus device feature-set for "normal" buyers has been live on-device support. In the event you need help setting up your Nexus smartphone - a smartphone you bought on the internet, not a store - going through the online Google Support documentation or back and forth with a chat agent in the browser is not an ideal experience. 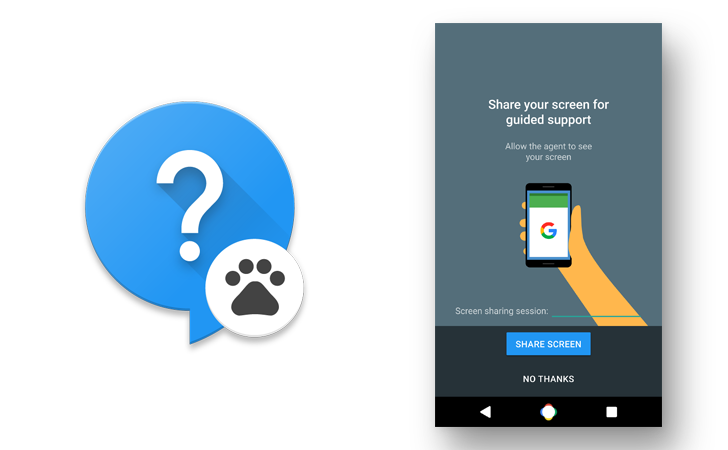 Being able to share your screen with an agent who can see what's happening on your display is a lot easier for many people, and it helps support agents resolve issues more quickly by having direct visual access to a user's device.